Agnihotra creates a powerful healing atmosphere which is conducive to removal of stress and tension from the mind. Our minds are also susceptible to negative thought patterns which pervade the whole atmosphere now. Agnihotra creates a magnetic-like field which neutralises these negative patterns and reinforces positive ones. Agnihotra injects into the atmosphere subtle particles which, for want of a better description, we can call particles of Love. Anger and greed become reduced and emotional cycles are ironed out. Agnihotra and Homa Therapy can be used in conjunction with any drug/alcohol de-addiction program to increase motivation to break the addiction. Agnihotra and Homa Therapy may be added to any organic farming practices to grow large quantities of food in a small area without the need for chemical fertilisers, insecticides, pesticides, herbicides. In Yajnya atmosphere plant structure and physiology are strengthened, improving growth and reproduction cycles by allowing easier movement of water and nutrients to all parts of the plant. Fruit trees will yield fruit double the usual size with twice the meat. Soil holds moisture better. Round-the-clock Homa is an effective aid to insect control. Yajnya replenishes the nutrients that pollution robs from our environment. Agnihotra neutralises pathogenic and parasitic bacteria. Agnihotra gathers particles of harmful radiation in the atmosphere and, on a very subtle level, neutralises their radioactive effect. Yajnya leads to better absorption of sun's rays by the water resources on the planet. 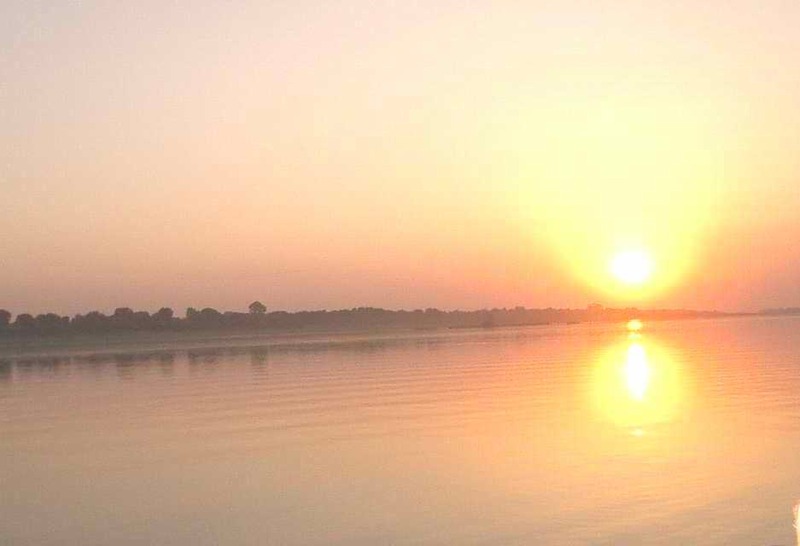 Agnihotra purifies contaminated water resources. Yajnya neutralises radioactivity and noxious gases released from the bowels of the earth. Agnihotra purifies the air we breathe by removal of toxins from the atmosphere. Yajnya seeds the clouds providing nutritional rain. Yajnyas can patch up the ozone filter damaged by pollution. Science of Ayurveda describes use of Agnihotra atmosphere and Agnihotra ash for prevention and cure of disease in humans, animals and plants. Several preparations can be made from powdered Agnihotra ash. These have been used all over the world to treat a wide variety of ailments. Agnihotra ointment for burns, dry skin diseases. Agnihotra eye-drops for age-worn eyes. Agnihotra suppositories showed good result with rectal cancer. Agnihotra powder applied externally for skin fungus. Agnihotra powder applied internally with water or honey for cold and sore throat. Agnihotra inhalation bath for cold. Last modified: Saturday July 30, 2005.